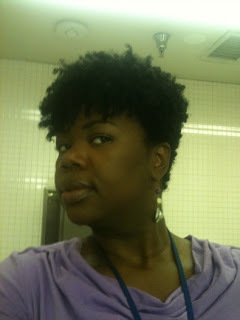 That’s me and my BodyMedia Fit! Hello Foodie Nation! This month’s article is going to be a tad bit different than my past ones. Instead of reviewing a kind of workout, I’m going to review a “workout companion” that I’ve used over the past 8 months and love — my BodyMedia Fit Advantage! You all might remember Nik is giving everyonewho orders a Bariatric Foodie item between now and December 15 the opportunityto win a BodyMedia Fit Link (a different model with similarities…look for Nik’s review of it soon). So I thought I’d give you the Foodie perspective on what the BodyMedia Fit is, what it does and how it can help you achieve your weight loss goals. What the heck is a BodyMedia Fit, anyway? The name doesn’t give up much, does it? The BodyMedia Fit (or BMF as I’ll use for the rest of this article) is a device that tracks how many calories you burn and how you burn them. There are two parts to the BMF I own: the armband, which gathers data from your body, and the optional display device which can show you, at a glance, how your activity measures up as you go about your day. The display device is a separate purchase and with my model, the Advantage, if you don’t have a display device the information you get isn’t “up to the minute.” I currently don’t have a display and use an app on my smartphone, which shows me the information from the last time I synced the band to my computer. With the model Nik is giving away, the BodyMedia Fit Link, (shown, left) you don’t need a display device because it has Bluetooth capability and can work with an app on your smart phone to give you real-time data readings. So…what data does it gather exactly? The BMF measures your body temperature, heat flux (how much heat your body is giving off), your activity level, sleep duration, motion and steps taken. This is the dashboard of the Activity Manager. It shows you a snapshot of all the data it collects from you. You can also see detailed charts and graphs that tell you things like your caloric burn by the hour. Now I know what some of you are thinking: This is WAY too much information! I’m here to help. Next, let’s look at how you can use this information to your advantage to increase the effectiveness of weight-loss surgery and maximize the amount of weight lost. Caloric Burn: We all know the basic formula for weight loss. Calories in – calories out = net calories. And we all know that to lose weight there must be a deficit. That is, you must take in less calories than you burn. Problem is, it’s hard to know how much we burn. There are calculations but everybody’s body is different. The BMF is scientifically proven 95% accurate at measuring calories, which gives you a pretty reliable place to start. Once you know that, you can decide on a caloric target for maximum weight loss. Activity intensity: To achieve your weight loss goals you need a variety of types of physical activity. 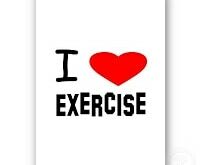 Being generally active is good, especially for joint and heart health. But to lose a significant amount of weight you also need to do some vigorous activity. The BMF helps you determine how much of each you get. You can even set goals. I find this especially helpful in planning my days. Some days I want to knock out the vigorous activity early and some days I find later in the day that I haven’t gotten enough activity and can still plan a workout. Steps: Are you getting the recommended 10,000 steps a day? While it’s true a standard issue pedometer can measure this for you, the BMF does this while taking into account how much you burn from those steps! 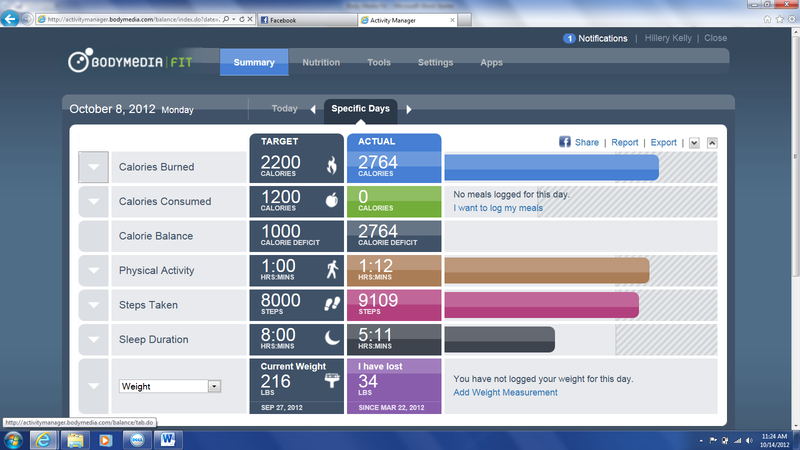 You can also set a daily step goal. Sleep duration: Yes, the BMF can tell how long you slept last night! That is, if you wear it at night. Why is this important? I know I’ve personally noticed that when I get poor sleep, my weight loss slows significantly. 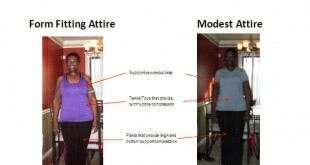 So, let’s sum up the pros and cons of the BodyMedia Fit. Monitors several body functions with 95% accuracy (caloric burn, sleep duration, workout intensity, motion, and steps taken). Has an interactive activity manager that has easy to interpret data and charts. The device holds about two weeks’ worth of data and holds a charge for the same amount of time. Discrete, can be worn under most clothing. Doesn’t have an extensive food database. 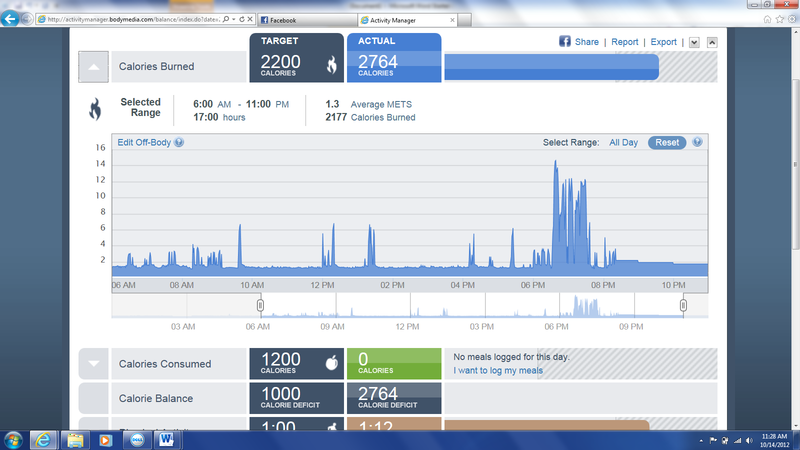 If I could change ONE thing about using the BodyMedia Fit, it would be the food tracking aspect. MyFitnessPal has a MUCH better food database so I currently use it to track/log my food. I mentioned this to Nik and she says that what she does is tracks her food on her regular online food diary (LiveStrong just in case anyone was wondering) and then enters her entire day’s intake as one food diary entry in the Activity Manager. She says this works well for her. Cost. I paid $179 for mine a year ago. For both the armband and the display, the price now seems to be $149 (about $100 without the display device). Additionally, to use the activity manager costs an additional $6.95 per month after the first three months. For some people, that initial cost can be prohibitive to purchasing and using the device. 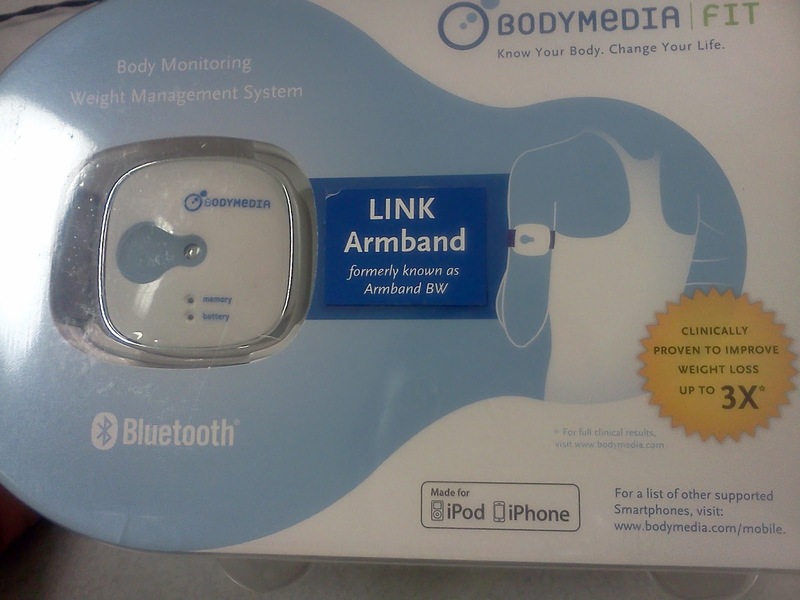 However, Groupon and LivingSocial have been running deals on the BodyMedia Fit for about $99, which saves about $50. Not exactly a con, but a warning: the device is not waterproof. That bears repeating. The device is NOT waterproof! (Yes, I have worn it into the shower a few times, thankyouverymuch. I’m thankful it survived!) Take it off when you shower or swim. Over all, I find my BodyMedia Fit invaluable. Because perceptions are debatable. Heck, one day I think I look a lot smaller and other days you can’t tell me I’m not back at the starting line! But data is irrefutable. Plus, this device motivates me to move more! I like seeing my burn go up and up and up. So my official opinion is this: in the battle of the bulge, you definitely want this weapon in your arsenal! Hillery is a year post-op gastric bypass and is a self-proclaimed product junkie, especially when it comes to make-up and natural hair products (from the picture you can see she’s clearly working both! ).